Here in Austin, Texas, we are blessed with a plethora of festivals. 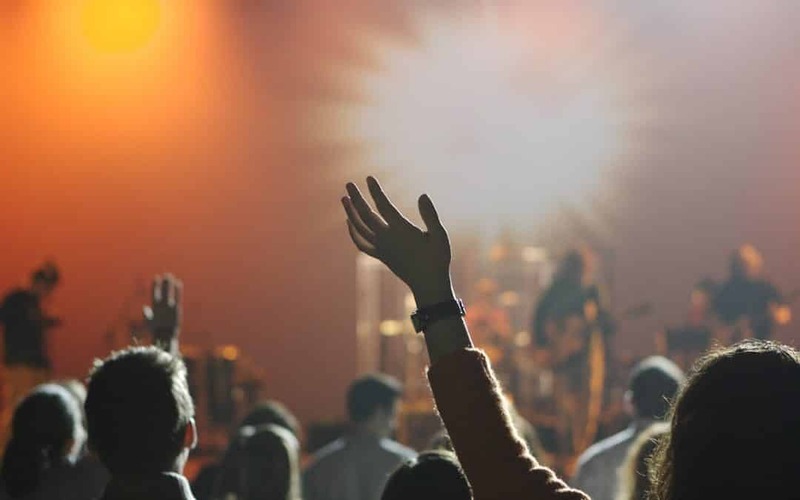 With SXSW and Austin City Limits Festival (ACL) bookending the year, make sure your skin is prepared for the long days and nights of singing and dancing. With our Music Festival Skincare Survival Guide, you’ll be ready to show off a flawless, radiant complexion for those selfies. It may be fall, but cooler temperatures don’t equal less potential skin damage that can be caused by harmful sun rays. During a music festival, the most important thing you can do for your skin is to protect and hydrate it with an SPF moisturizer. We recommend you apply an SPF of 30 or higher to any exposed areas every 90 minutes. For added protection, don’t forget to pack a hat! This may seem like a no-brainer, but staying hydrated isn’t just important for preventing overheating and exhaustion during a music festival. Hydrating from the inside out will keep your skin looking its best as well. Up your water intake over the entire duration of the festival in order to keep your skin hydrated and counteract dehydration caused by alcohol consumption. Cleansing wipes can really come in handy when you don’t have the ability to properly wash your face. You can quickly and easily combat dirt, sweat, and bacteria that cause clogged pores while on the go with a pack of cleansing wipes. Just don’t forget to reapply sunscreen afterward! Refresh a tired complexion and keep your skin glowing throughout the entire festival with a spritz of toner. A lightweight mist can aid with cleansing and help to cool you down after your sweet dance moves get your heart racing and cause your face to flush. Following a music festival, you’ll be feeling an extra layer of grit and grime all over. In this case, you may want to try a body wash and facial cleanser that contain glycolic and salicylic acid. These ingredients work together to penetrate deep into pores and prevent breakouts. Your skin will likely be in need of added moisture once the party is over. Exposure to air pollutants, dirt, sweat and overindulgence could cause your skin to feel dry and depleted of nutrients. This is the time to apply a hydrating mask that will brighten, smooth and hydrate in order to restore your skin’s natural glow. Masks that include Vitamin C as an ingredient are a good bet for returning vital nutrients to your skin. Austin area residents: are you or someone you know struggling with skin conditions such as acne, psoriasis, or rosacea? Participating in a research study provides an opportunity to be involved in the process of discovering new treatments while receiving compensation for time and travel. Inquire about eligibility by calling DermResearch at 512-349-0500 or view our current studies. Which bands or events are you most looking forward to seeing or attending this year?